Saturday night in Stockton, CA DJ Netto will make his final start aboard Clyde and Marion Lamar’s famed No. 3c entry. In 2018, Netto will pilot the Netto Ag/Penny Newman Grain No. 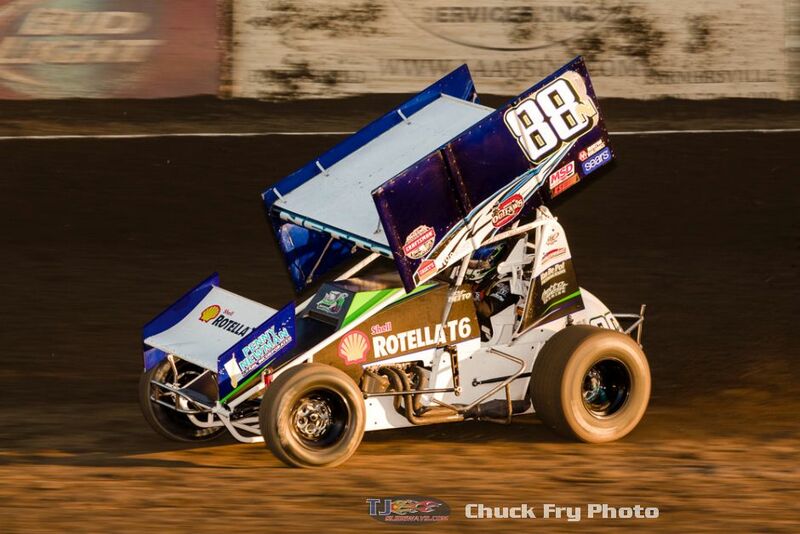 88n to contest the King of the West Schedule and is actively looking for other opportunities to fill his schedule. Currently sitting third in King of the West Standings, Netto has three wins to his credit in 2017, and will look to end his relationship with Tri-C Motorsports on a high note Saturday night in Stockton, CA during the series finale. 2018 will see the Netto Ag/Penny Newman Grain backed No. 88n return to racing with Netto’s main commitment being to the King of the West Series. As of now, the Hanford, CA driver is looking for opportunity to add to his schedule.